Hobbies/Interests: : My favorite time is spent doing, well, anything with my family! I like to research, design, and construct tubas with my tuba-building friends. I also like to brew beer, manage projects, play golf, and tinker with cars. Music is the language of the soul. It is the universal language that drives beyond the surface of basic thoughts and conversations, enabling true expression of emotion. Music is good for you. It builds your brain, imagination, and creativity. Eat your vegetables, and listen to your music. 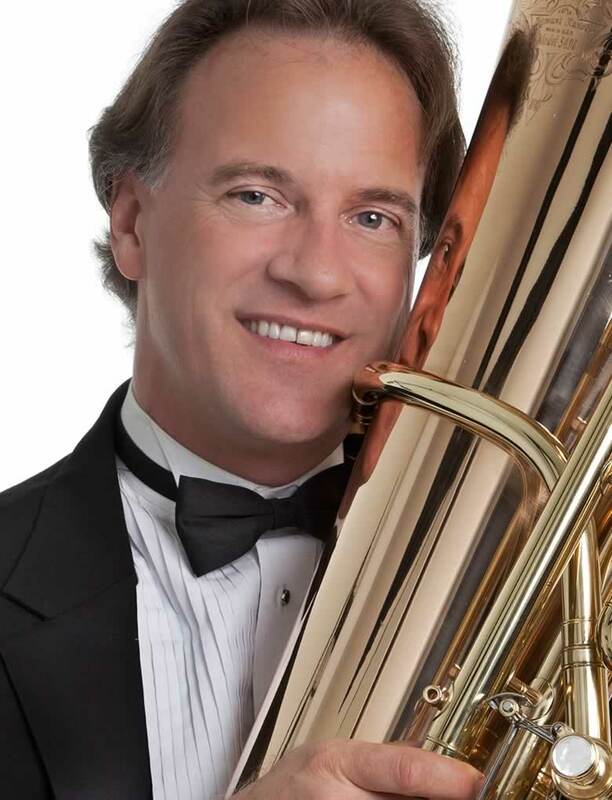 Robert Carpenter has held the chair of Principal Tuba in the Orlando Philharmonic Orchestra since its inception in 1993. Robert has combined careers in musical performance and the sciences. Robert is a founding member of Sovereign Brass, and performs often with symphony orchestras throughout the southeast. He performs and teaches annually at the Boston University Tanglewood Institute in Massachusetts, and for several years has served on the Rollins College music school faculty. Robert is a performing artist and development consultant for Kanstul Musical Instruments, in Anaheim, CA. He provides technical guidance regarding materials, design, and construction processes, and also performance quality assessments during instrument development. Kanstul’s new line of tubas is now being played in major American symphony orchestras. Robert received two bachelor degrees from Northwestern University: one in Music Performance and another in Electrical Engineering. While at Northwestern, Robert studied with Arnold Jacobs of the Chicago Symphony, and performed as a member of the Chicago Civic Orchestra, Evanston Symphony Orchestra, and Lake Forest Symphony Orchestra. In addition to a full musical life, Robert is a licensed Professional Engineer (PE), a certified Project Management Professional (PMP), and also a Certified Modeling and Simulation Professional (CMSP). Robert was a systems engineer for NASA, responsible for Space Shuttle instrumentation systems during launch operations. He is currently an advisor to the U.S. Army, providing management and engineering support for research and development of complex testing capabilities.